Now you can vape with confidence and style. Buy the best quality e-cigs from Vapor4Life. The company offers different models of electronic cigarettes. It also offers e-juices in a wide range of flavors. 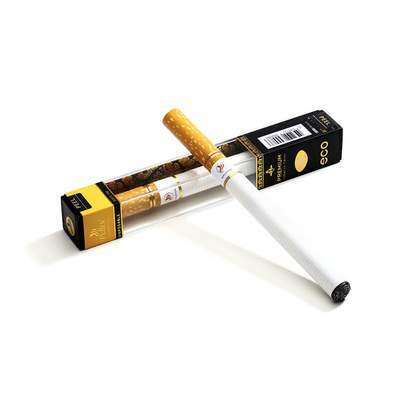 These products have helped thousands of smokers quit smoking of tobacco cigarettes. Vaping is a safer alternative to traditional cigarette smoking. There is no loss of throat hit feel when you switch to vaping. The e-cigs of Vapor4Life will give you the same throat hit that you experience while smoking tobacco cigarettes. The advantage in case of e-cig is that you will not be inhaling any carcinogenic agent, tar, and chemicals. You do not have to deal with the ashes and unpleasant smell. Customize your vaping experience by selecting the right e-cig model as well as e-liquids and other accessories. This e-cig model has been rated highly by tech magazines for its high energy efficiency. Even with its tiny battery, it gives 4.2 volts which are very high for this category of battery cells. You can choose low resistance WOW cartridges which will give you more vapor and warmer throat hit. Use the COOL cartridges for higher resistance, cooler throat hit, and longer lasting battery. It is a very good alternative to tobacco cigarettes. The device does not have too many components even when all functions of e-cigarettes are provided. You can easily connect the required parts together quickly and easily. It is almost the same size as a long cigarette. 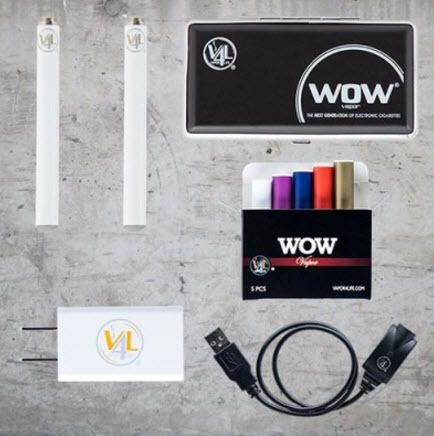 The kit includes everything you need to get started with vaping. It is available in three models. It’s Vapor Titan E Cig Kit comes with a battery, a wall charger, a carrying case and five packs of cartomizers. The Vapor Titan E Cig Kit has two batteries and one USB charger in addition to everything that is included in the Standard Kit. The Vapor Titan Ultimate E Cig Kit includes a few more items like a special bottle of e-juice and dual coil tank. Buy the kit that suits your vaping requirements and preferences. It is a high-quality e-cig kit specially designed for tobacco smokers who are planning to switch to vaping. Vapor4Life introduced Vapor King Kits as starter kits for former smokers and beginners. Such users want a kit that does not force them to fumble with lots of components and complex vaping process. Try this starter kit with any of the 150 e-Juice flavors available from Vapor4Life. This kit is available in three models including Vapor King Ash Cap Standard E-Cig Kit, Vapor King Ash Cap Premium Kit and Vapor King Ash Cap Ultimate Kit. The Premium Kit contains a few more items than the Standard Kit while the Ultimate Kit contains a lot more items than the Standard and Premium kits. This is an excellent choice if you want to feel the sensation of smoking without worrying about multiple components of the device. You can avoid the problems of ashes and tobacco smell by using pure e-juice of Vapor4Life. It gives you cigarette-like flavor, long lasting battery and a better throat hit compared to the traditional cigarettes. Switch to disposable e-cig of Vapor4Life and enjoy the new vaping experience. This company does not leave you with just a high-quality e-cig. 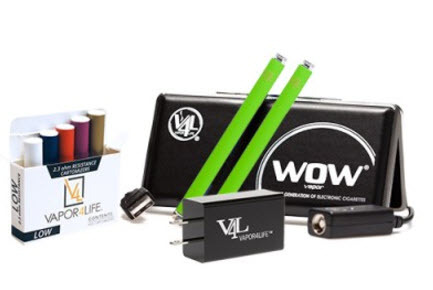 It offers a wide range of e-cigs, starter kits, cartomizers, batteries, and accessories. Its range of Vape Starter Kits includes Vapor Zeus, Variable Voltage, 510 Vaping Kits, EGO Starter Kits, Herbal Vaporizers and V-Kit. All these kits are designed to provide the ultimate vaping experience every day. You are guaranteed to enjoy your vaping with a choice of over 150 e-liquid flavors. If you have tried other e-cigs, you will immediately feel the difference when you vape an e-cig of Vapor4Life. These units are designed to provide you perfect vaping experience. Use its Box Mod Kits if you want to further customize your vaping experience. These mods let you control temperature exactly the way you want it. Look for different models of e-cigars. All types of cartomizers, liquids, batteries and accessories for e-cigar kits are available. Other related products like tanks, refilled cartridges, replacement parts and items related to cartomizers can be purchased from Vapor4Life. A range of accessories like chargers, cases, and adapters are available. There are lots of discounts available to buy these products. Visit http://vapor4lifecoupons.net to receive your coupons. Switch to a better and safer vaping experience.